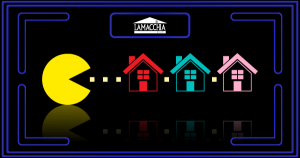 March 14, 2018 – Anthony Lamacchia, owner of Lamacchia Realty, wrote a piece for the Boston Globe titled: The Truth About Our Housing Inventory. In this article, he discusses the misconception that the low inventory means no one is selling and explains that instead, buyers are consuming the supply before it has a chance to catch up to demand. To see what the data predicts for 2018 and 2019, and to learn more about what will shift these market conditions, click here to read the full article!